During a highly-publicized official visit to Greece, the Chairman of the Joint Chiefs and highest ranking American military officer, Gen. Joseph Dunford, wasted no time in getting straight to the point of his visit. The United States wants a closer relationship, he told his Greek counterparts. Numerous officials briefed reporters who followed Dunford’s trip and various agencies and diplomatic offices of the U.S. government Tweeted and re-tweeted the various meetings and ceremonies that took place during the visit. THREAD: #GenDunford met today with Chief of the @Hellenic_MOD Adm. Evangelos Apostolakis in Athens, #Greece. 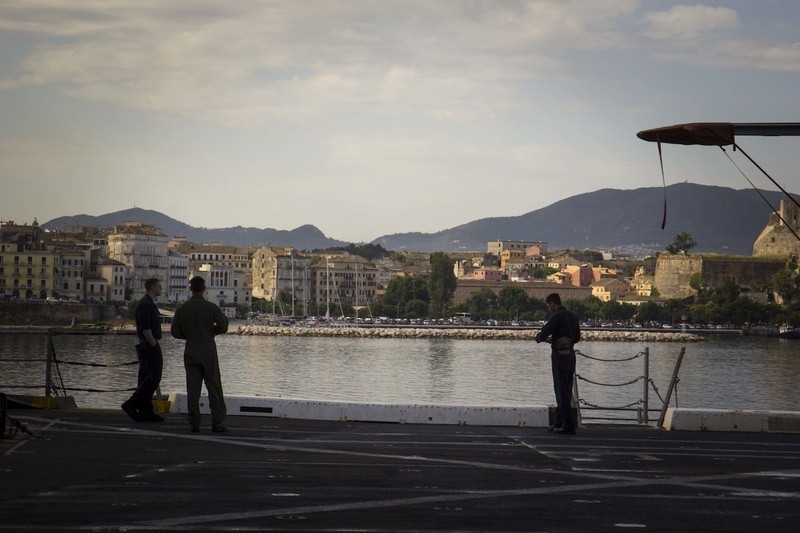 Although no specific bases have been identified, the Supreme Allied Commander Europe Army Gen. Curtis Scaparrotti is evaluating several options for increased U.S. flight training, port calls to do forward-based ship repairs and additional multilateral exercises. “Those are discussions that Gen. Scaparrotti and others are having right now, as they look around the region in terms of where they want to put forces within the next five to 10 years,” one official said. 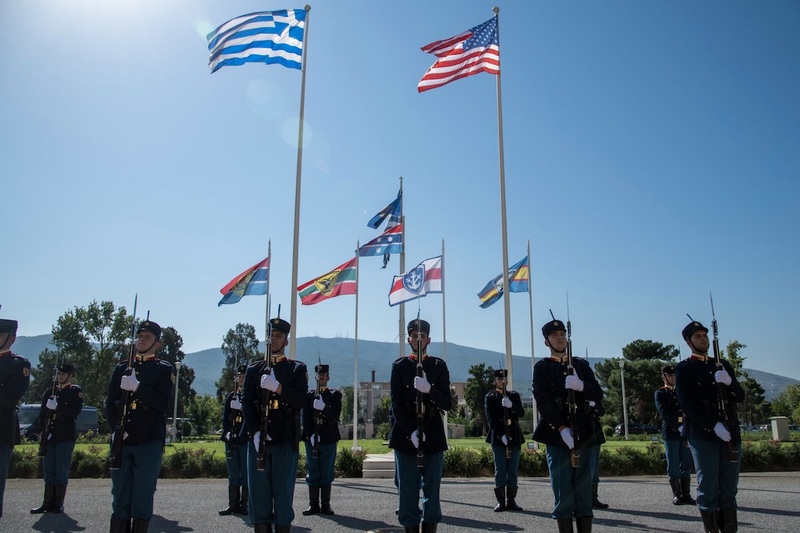 The increased interest in Greece by the U.S. military comes as relations with Turkey are deteriorating. 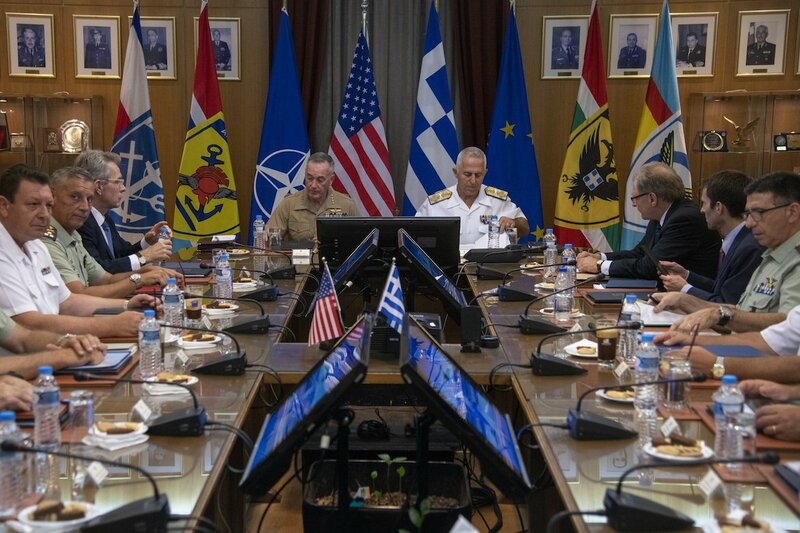 The discussions between Dunford and his Greek counterparts come following a surge in U.S. activity at Greek ports, airports and military bases over the past year. This spring the U.S. began operating unarmed MQ-9 Reaper drones out of Greece’s Larisa Air Force Base. The transport dock ship New York has made two recent port calls, and the aircraft carrier Truman made a port call in May.